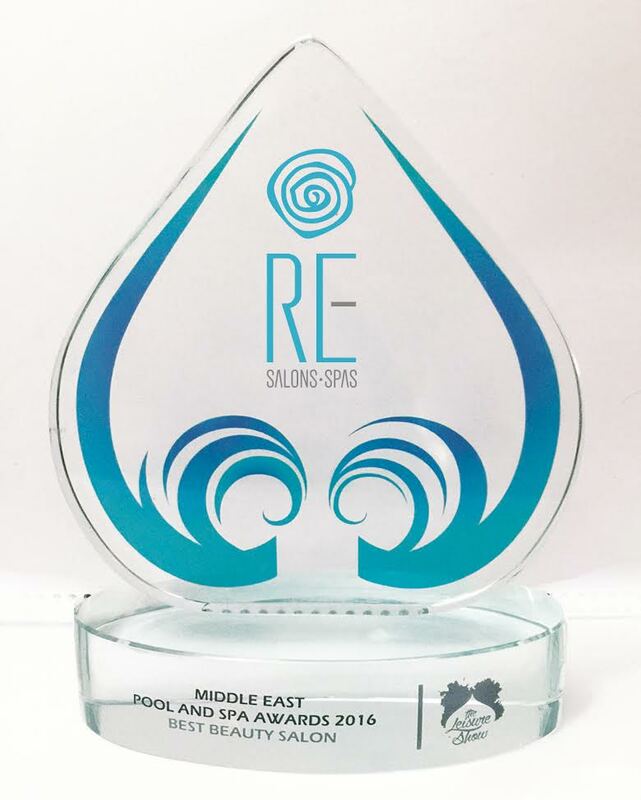 Dubai, UAE: RE- Salons & Spas, Dubai’s award-winning holistic wellness chain, has won Best Beauty Salon in the Middle East at the Middle East Pool and Spa Awards 2016. The awards, which took place at the Steigenberger Hotel in Dubai earlier this month, recognize the region’s leading pool and spa facilities and pay tribute to this booming market, valued at AED 11 billion this year. RE- Salons & Spas continues to innovate in the industry with unique promotions that have the busy and money-savvy women in mind. One example of a promotion that is unique to the local market is the monthly “All You Can Spa” deal through which subscribers can indulge in as many spa treatments as they want for a set valuable price. With the spas and salons market booming, it’s more important than ever for companies to come up with innovative promotions and offers in order to stay ahead of the competition; RE- makes this approach a priority. “We are extremely honored to have won the award for Best Beauty Salon in the Middle East. Our team is always focused on providing the highest quality of treatments and holistic services in order to meet the needs of Dubai’s busy modern women, thus we really owe our success to them. At RE- Salons & Spas, we value our customers’ feedback above all else, but it’s also very important to us to receive positive recognition from prestigious industry bodies. We are therefore delighted to have this recognition from the judges of the Middle East Pool and Spa Awards,” said Rana El-Eid, Founder and Chief Wellness Advocate of RE- Salons & Spas. Based in the UAE, RE- Salons & Spas is an award-winning beauty and wellness chain. The focus is on an holistic approach to both inner and outer beauty – transforming customer’s lives through an innovative menu, contemporary setting and quality services tailored to today’s hectic urban lifestyle. RE- Salons & Spas understands that wellbeing is more than just a list of services, and that true beauty comes from sharing love, compassion and happiness. As the perfect host, whether in a RE- Salons & Spas outlet or at your own premises, RE- provides the ideal setting for some all-important ‘me-time’ and ‘we-time’ – because feeling good is as much about connecting with yourself as it is with bonding with those around you. Experience a journey through all that RE- has to offer: RE-lax with pampering massages and facials; RE-juvenate with indulgent salon treatments, and RE-discover yourself through the unique range of home services, corporate wellness packages and sparties.